Departs from Rum Point located in the Cayman Kai area (about a 25 minute drive from Morritt's Tortuga Resort and an hour drive from Georgetown). 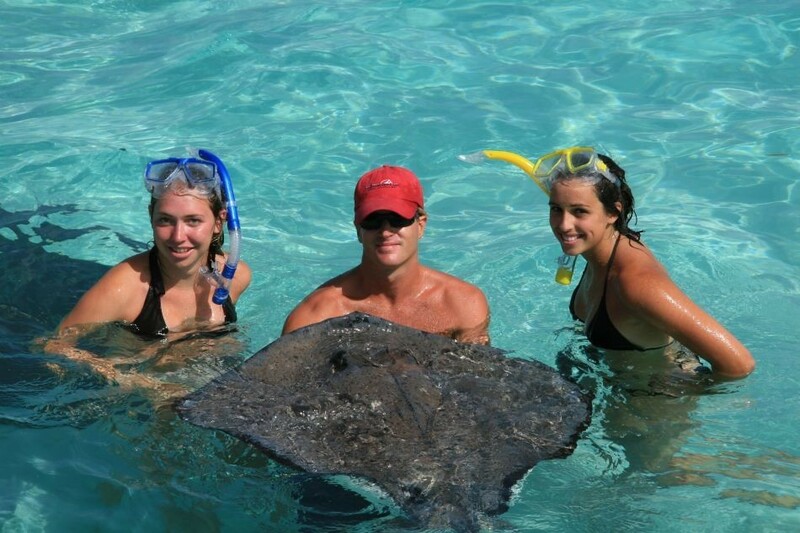 This 2 1/2 hour afternoon trip makes a first stop at the exciting Stingray Sandbar (3-4 feet deep), where guests will be able to stand or snorkel with friendly Southern Stingrays for approximately 45 minutes. 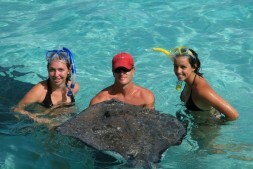 On our second stop you can snorkel off beautiful coral reefs with brightly colored fish. There is a full cash bar on board and snorkel gear is provided. Be sure to bring your own towels and plenty of sunscreen. Departure points and pick-up locations can and will change. You will be advised of any changes when you check-in. All persons must complete a waiver form prior to boarding the catamarans. An adult must accompany all children under 18 years. Children 12 years of age and older pay full price. There is a half price discount for children ages 3-11. Infants and children 2 years and younger are free.